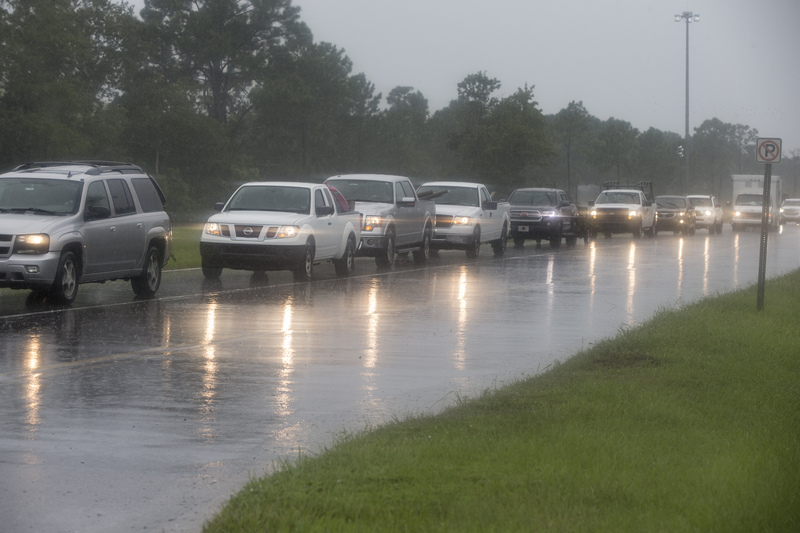 UPDATE: Second host shelter is now open at Meadow Woods Middle School, 1800 Rhode Island Wood Circle. 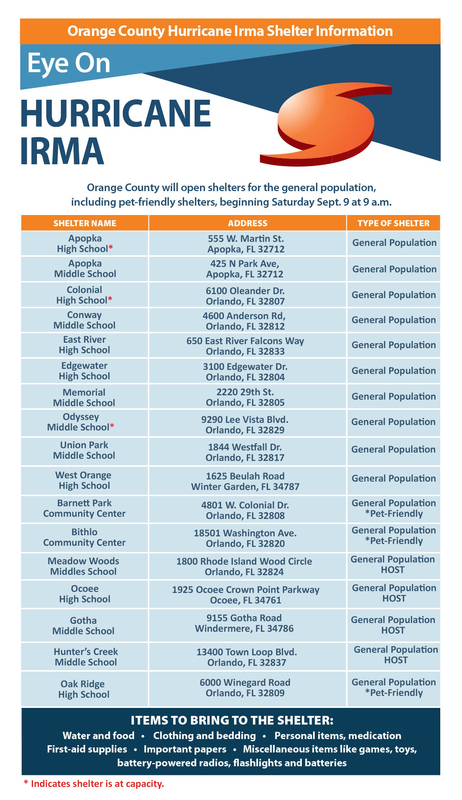 Orange County has opened Ocoee High School, 1925 Ocoee Crown Point Parkway, as a shelter to host evacuees coming from South Florida and coastal communities of Florida this evening. The shelter is now open. Evacuees are asked to ensure that any pets are in crates, have leashes, food, water, and medications for animals traveling with them, along with proof of vaccination.